Don’t waste time or money. Make the web work for you. 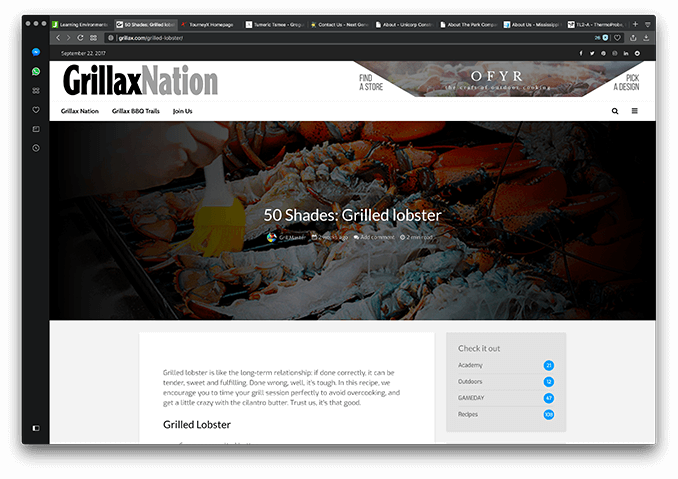 Grillax.com was hosted on a slower web server. The average page load time was over 16 seconds! Grillax teamed up with Jackson Web Works to provide a faster solution. 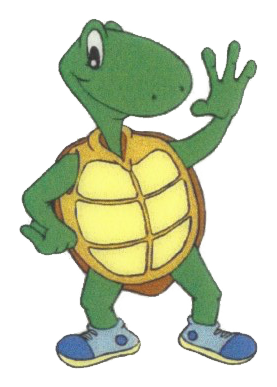 After moving to our server vendor, the page load speed decreased to just under 4 seconds. Switching web servers was a 75% speed improvement! "Okay, but what does that mean?" 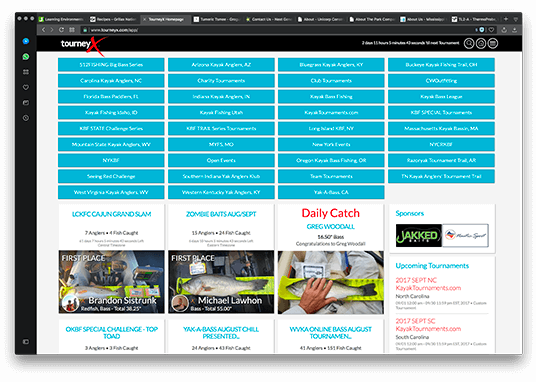 TourneyX needed help with server management. We pitched in with testing and implementing VPS and dedicated server stacks. 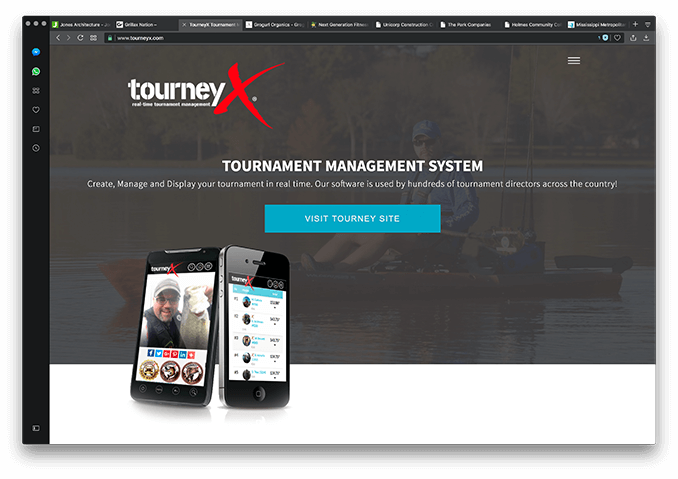 We are continuing to provide consulting, testing, and support for TourneyX. "Do I need a dedicated server or a VPS? " 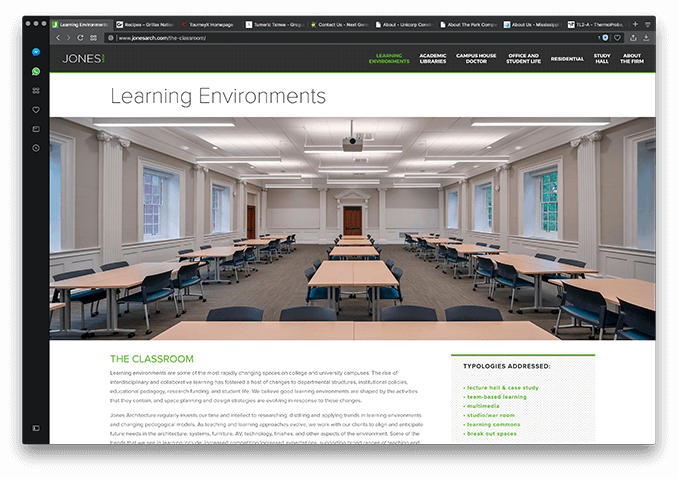 Boston-based design firm Horne Visual Media tapped us on the shoulder to help them create a functional template. Requirement: the client has to manage the site after deployment. 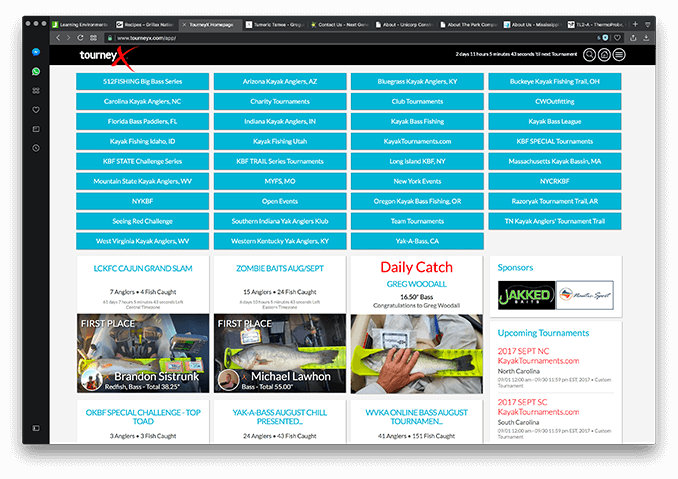 Solution: Wordpress, using a custom child theme. Let's get together and work out a plan. I'll wipe off the whiteboard to get started! Feel free to shoot me an email or catch me on Facebook. 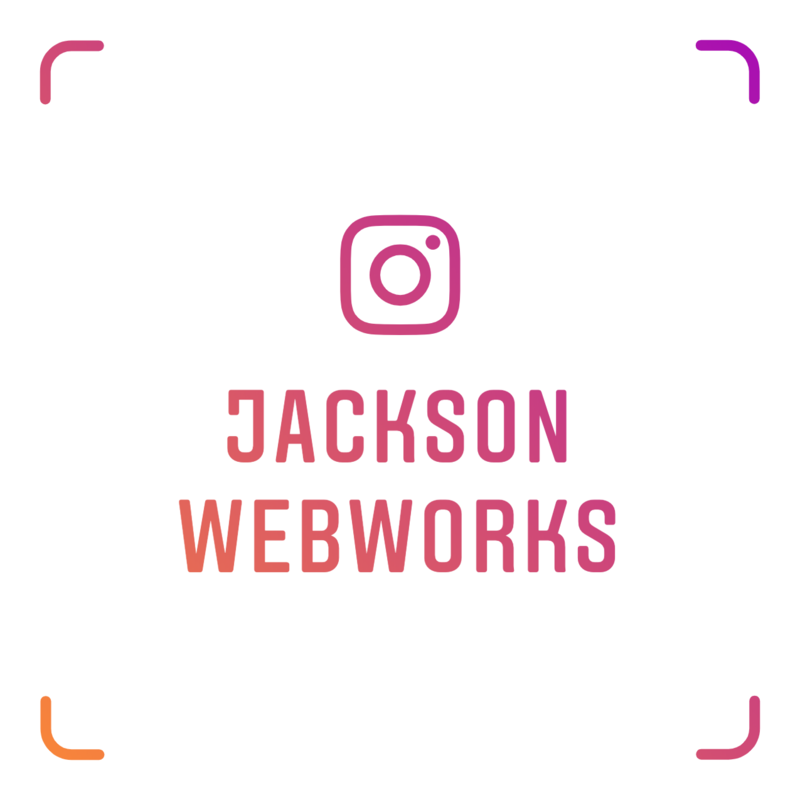 Jackson Web Works is a new web and graphic design company looking to enhance and grow the web presence of businesses in the Mississippi market. But the only thing new about us is our name. Our crew of designers and developers at Jackson Web Works has been in this industry a long time. 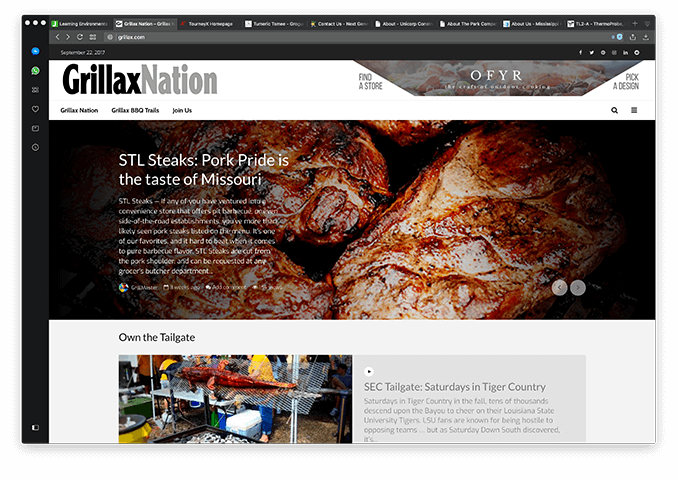 We just wanted to bust out of the daily grind, and fill a need in our community for solid, professional website design in the Jackson metro area and beyond. 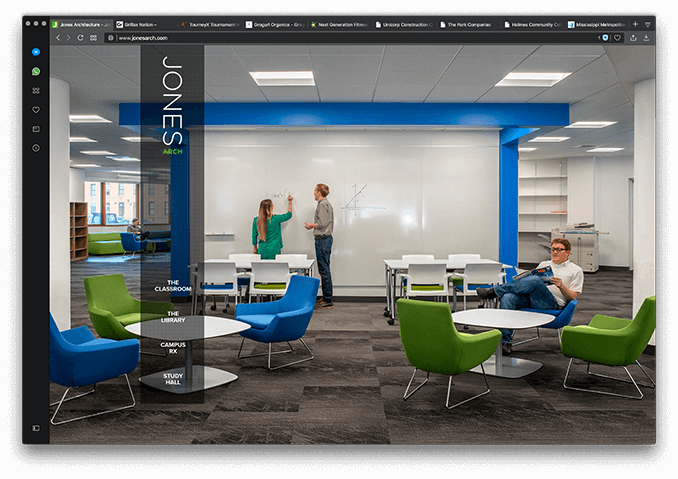 Jackson Web Works has three main goals. We will improve the online image of our clients, and help them build a strong brand and interactive identity. Furthermore, we will accomplish this using cutting-edge responsive websites employing the latest results-driven technology. Finally, we won’t just push you onto the web and forget about you. We’re here to offer tried-and-true online marketing strategies, such as pay-per-click, remarketing, and social media campaigns. We want your business to grow, just like you do. And we know how to make it happen. Functionality on any modern device. We’ll work with what you have or create something entirely new. With 21+ years’ experience, we live to make elegant websites that keep clients happy for years to come. We offer ongoing support for most projects. He built a good looking and functional website for my business! Helped me with Google Places and other things related to our website! Jackson Web Works has been a great company to deal with. They explain the complexities of websites and email in plain language and offer services that you need, not the services they want to sell you. When I contact these guys for help, I am completely confident that I’ll understand what they can do to help and what it will cost me. Thank you for all you have done to help me! Morgan and Stephanie revamped my old website to a modern, mobile-friendly version. Now customers no longer have to pinch and resize when viewing on their phones. Plus, I like the fact I can meet Morgan in person to talk about my marketing ideas. In addition to my site, they have also helped me with print marketing projects. Overall it was a great experience working with Morgan and Stephanie, and I look forward to working with them in the future. 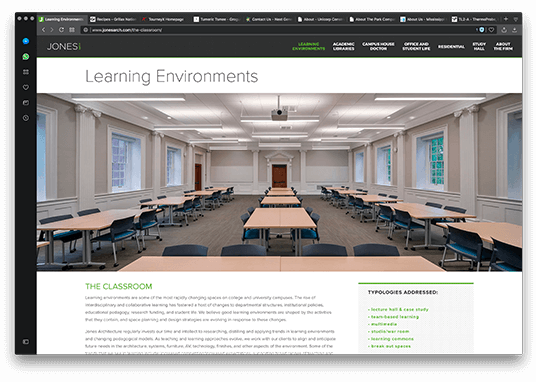 We worked with Jackson Web Works to update our company website with many overdue updates, including a new mobile device-friendly interface. Morgan did a great job offering insights and practical solutions for our new website layout and functionality. We plan to use his services in the future when additional changes are needed. 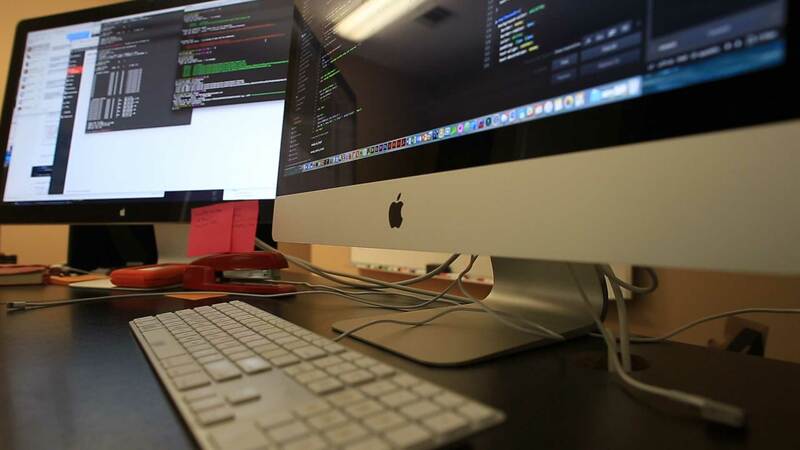 Jackson Web Works is a full-service web development shop. If you want it on the web, we can get you there. From setting up a domain to making your site easy to use on any machine with a screen, we’ve got you covered. We can help you with what to say, how to say it, and how to show it to the world. And after your project has launched, we’ll be there to keep you running smoothly. Drop us a line and let us make the web work for you. Mr/Miss/Mrs/Dr Mr. Mrs. Miss. Ms. Dr.